Thread by @AdamParkhomenko: "1/ Ummm 2/2 since you are no longer going to sleep tonight, you can read more here: theintercept.com/2017/12/04/tru… They are totally going […]"
This is what is currently coming to mind. Monday at the Kremlin Annex: The performers will be current and former Broadway cast members from “Wicked,” ”Beautiful,” ”Hamilton,” ”Phantom of the Opera,” “The King and I,” “Les Miserables,” ”Cinderella,” ”Xanadu,” ”The Producers,” ”Head Over Heels” and more. MORE Kremlin Annex in Monday: The group will sing “The People’s Song” from “Les Miserables,” Burt Bacharach’s “What the World Needs Now Is Love,” ”A Brand New Day” from “The Wiz” and “Climb Ev’ry Mountain” from “The Sound of Music” from Lafayette Park. Thread: On the Democrats Weaponizing Federal Agencies – Including the IRS! 1. During the 2016 election season, I would wager that many if not most Americans had some element of trust of federal agencies – at least to some extent. How different our opinions are now! 2. We even thought that the IRS had been cleaned up after Lois Lerner was offered up as a sacrificial lamb for her “leadership” in illegally auditing the tax returns of conservatives. 3. We should have known better! Just think of the revelations of political corruption uncovered over the last 2 yrs alone. While the IRS hasn’t been in the news, their shenanigans have continued behind the scenes. We’ll get into that after this brief survey of the last few yrs. 1. Just posted my newest piece on ties between the Religious Right and Russia, tracking interactions over recent years. 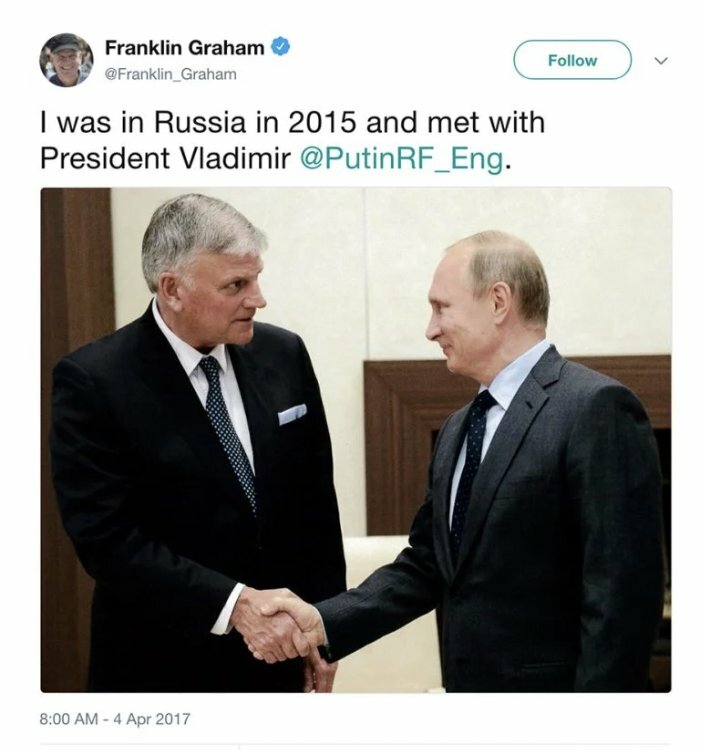 The focus: Relationships between Russians and Franklin Graham, who, among other things, met with Vladimir Putin in 2015. 2. It should be noted that some of this has been reported on before, and most of it has been pretty public for a while. We just haven’t done a great job of putting them all in one place. Cohen’s in-laws from Ukraine, purchased 3 Trump apartments from 2003-2005, for nearly $8 million. His personal wealth has taken a drop in recent years, due to millions in taxi medallions, which have lost value. The medallions have been refinanced, and loan due to bank in 2019. It started with a tip about Alexey Repik, a wealthy Russian pharmaceutical executive, who attended the inauguration with his wife Polina. 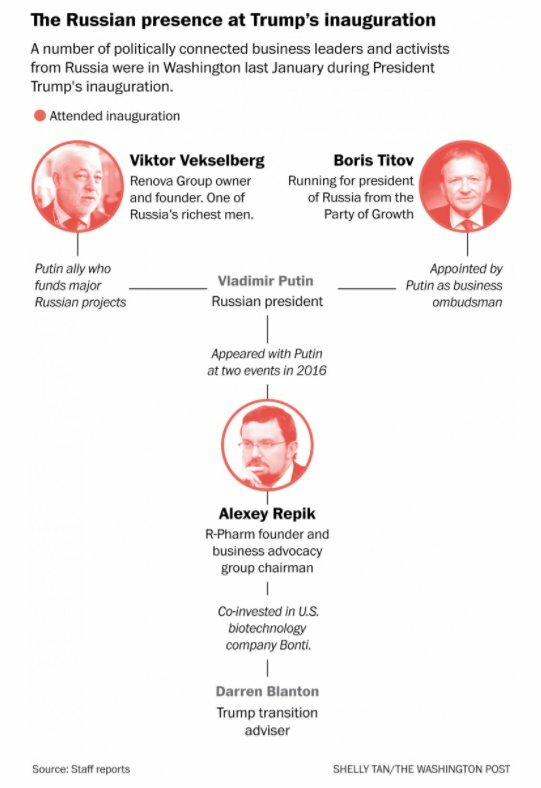 A venture fund backed by Repik’s company and the Russian government invested in late 2016 in Bonti, a U.S. pharmaceutical company. Another Bonti investor was a company founded by Darren Blanton, a Texas venture capitalist who advised the Trump transition. 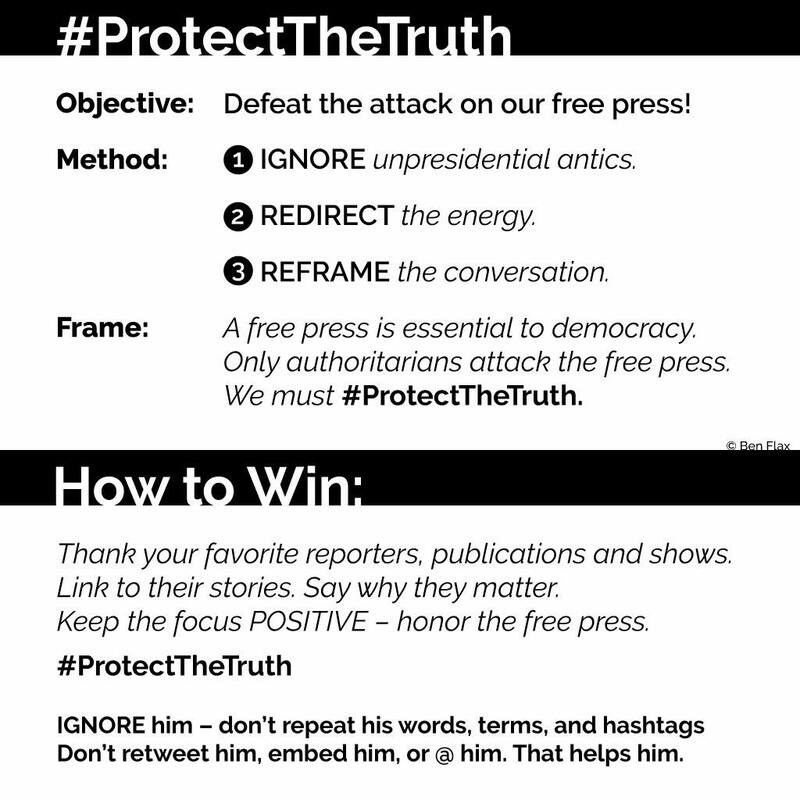 THREAD: Like some foreign dictator, the Republican in the White House will attack the free press today. Here are a few action strategies to flip his negative attacks into positive persistence. 3. FUND VICTORY. If we all gave 50 cents to candidates like @IronStache, @KatieHill4CA , and @JanzforCongress every time Trump tweeted, we’d have more than a #BlueWave2018. We’d have a #BlueTsunami2018! Fund victory! Pick a candidate in a tough race and pledge 50 cents per tweet! 1. So you may have heard VP Mike Pence keeps rescheduling his trip to the Middle East. 2. Context: The trip was originally set for Dec, but then the Coptic Christian Pope in Egypt canceled his meeting with the VP after the Jerusalem decision. Jerusalem Christians also protested, as did folks in Bethlehem, Nazareth, and Ramallah—some turned off Christmas lights. 3. Why is this important? Because in addition to hardline stances supporting Israel, American evangelicals aligned w/Pence and others have spent years drawing attention to Middle Eastern Christians—including those in occupied Palestinian territories—who face very real threats.